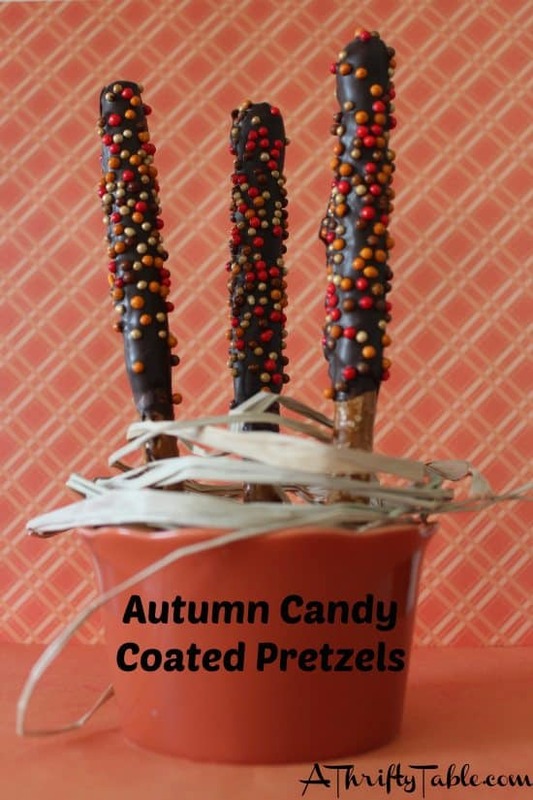 I love quick & easy recipes, like these Autumn Candy Coated Pretzels! 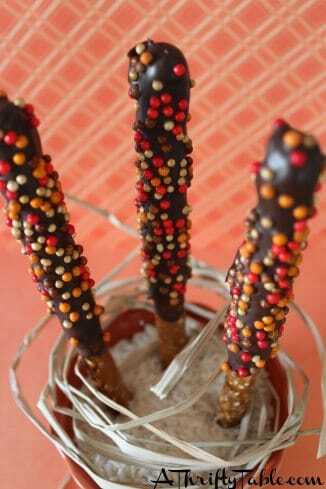 Within 15 minutes you have a fun & delicious Thanksgiving treat that looks great. One of the best things about this recipe is it only calls for 3 ingredients: Pretzel rods, candy melts, and candy pearls/sprinkles! Put the candy melts into a microwave safe dish & heat for 30 seconds, stir, repeating until melted. 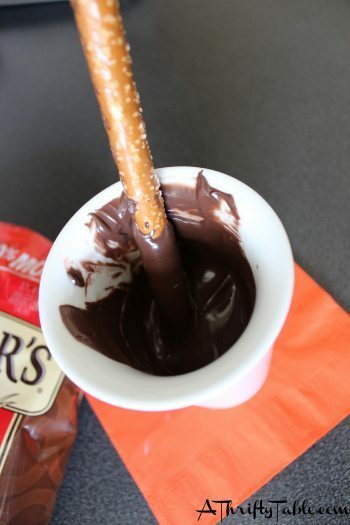 Let them cool for 2-3 minutes and dip the end of the pretzel rod into the chocolate. “Stir” to coat completely then sprinkle with the pearls & lay on wax paper. Refrigerate for 10 minutes to let the candy set. Heat Candy Chips in tall glass or cup by microwaving for 30 seconds stirring and repeating until melted. Allow to cool for 2-3 minutes. 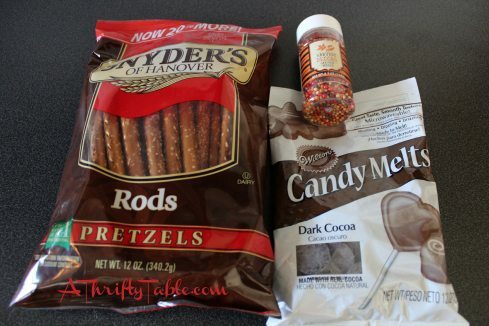 Dip pretzel in melted candy and roll to coat completely.